On your first order you will receive the installation tools needed & a link to our How To video online. We offer phone support and we are available every business day. We also give you the choice of film that you prefer. 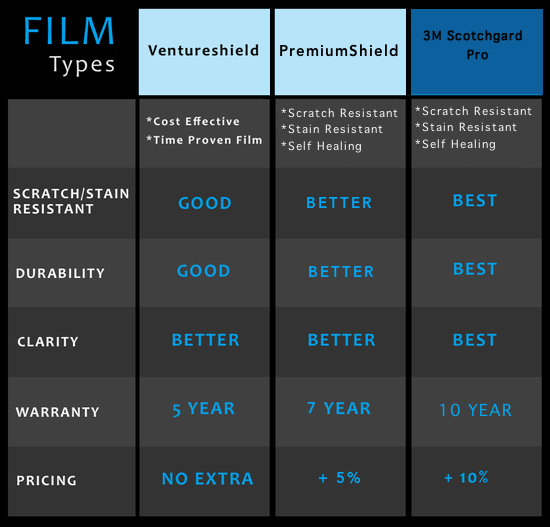 You simply choose which film you want when ordering the kits, 3M Ventureshield, 3M Scotchgard Pro or Suntek. Why did we choose this model? Instead of asking for a "registration fee" to join we've decided to offer a zero down start up. Your dealer discount will start at 30% (off the non-sale price) initially and increase as time goes by. We want to make it as easy and inexpensive as possible to get started. Once you've ordered at least 3 kits and have successfully installed the clear bra kits we will begin referring local customers to you. We often get customers visiting our website looking for a local installer and we will send them directly to you! Once you complete the dealer application online we will review it and set the initial discount. You will then receive an email with your login information. Once logged in you can begin browsing our store at your new discounted prices. 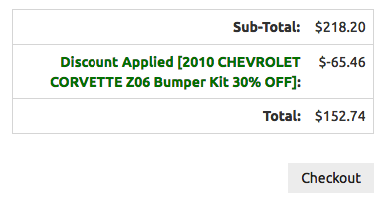 Please note, the discount is subtracted near the subtotal area (when you check out or view your cart) and is in a green font. When you are ready to place an order the checkout form will already be filled in for you so it's a quick and easy process.